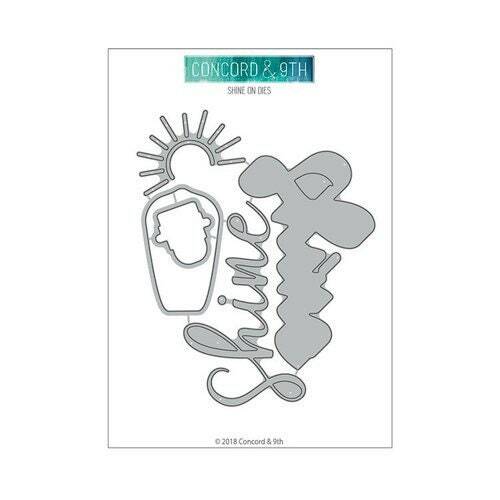 Your projects will shine when you combine the Shine On stamp set (sold separately) with the Shine On Dies by Concord and 9th. The package includes 5 thin metal dies that are compatible with most die cutting machines (also sold separately). The dies are made in the USA and measure 4" x 2.5" to 2" x 1.375". Dimensions: 1.1" x 1.1" to 4" x 2.675"